Ericsson is making several significant investments in the US in a bid to speed up deployments of 5G networks in North America and beyond. The first 5G networks are expected to go live in the US later this year, delivering Fixed Wireless Access (FWA) broadband in urban areas. Japan and South Korea are also expected to be among the first, with deployments taking place in the UK in 2019 and 2020. Ericsson’s investments cover both R&D, including in AI, as well as in US manufacturing and product operations. The company hopes to tap into local talent that will aid deployment of 5G around the world, while also shortening the timeline for new product introduction and delivery to customers in the US. 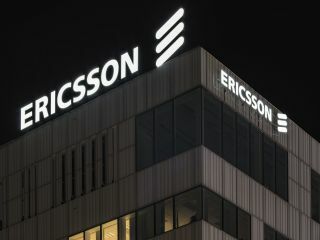 Ericsson’s Austin ASIC Design Centre in Austin, Texas focuses on the core microelectronics of 5G radio base stations and will employ 90 staff, while a new software development centre will house more than 200 engineers working on 5G software. By 2019, both will introduce 5G products and software features into the company’s wider portfolio. Separately Ericsson hopes to have 100 AI specialists in North America by the end of 2018. Manufacturing will begin later this year, while a dedicated team will identify products for the US market, conduct testing and work on early prototypes so they can be delivered to customers as soon as possible. The first 5G radios will be produced before the end of 2018.